Welcome to Cedarlane Foods. 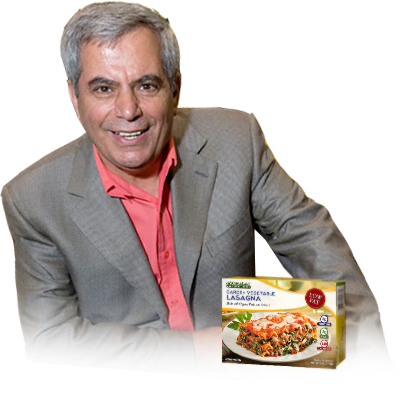 My name is Robert Atallah, and I founded Cedarlane in 1981 with little more than my beloved grandmother’s recipes for hummus, tabouli and other Mediterranean-inspired delights. I’m proud and humbled to have been among the first companies to introduce healthy and organic products to the frozen foods sector, and now, nearly 40 years later, our dedicated and passionate team has grown while remaining mindful that you, our loyal customer, deserve the most delicious, satisfying and wholesome products we can provide. With this mission top-of-mind, I cannot wait to arrive each day to our headquarters in Southern California to develop new recipes for you to enjoy. Whether you‘re sitting down for dinner, running out the door in the morning, or eating lunch at work between meetings — there’s a simple-to-prepare and absolutely enjoyable Cedarlane product that’s right for you. I invite you to contact us with your thoughts and feedback—we would love to hear from you about your experience with Cedarlane. For those of you who have been our friends for many years, thank you! For those who are just getting to know us, welcome! And on behalf of the entire Cedarlane and Atallah family, I wish you all many years of health and happiness. Your email will be kept private and will not be shared. * email is required. We will use your email only for periodical updates or specials.